With the release of their version 2 of NiceHash Miner there are two different versions of the software available now. 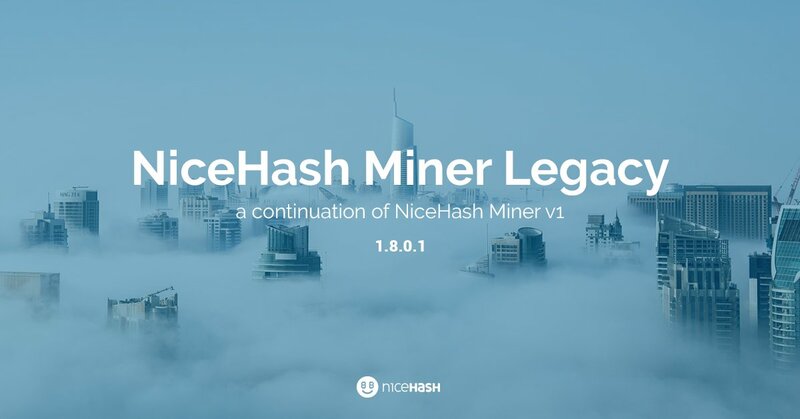 The old branch version 1 is now called NiceHash Miner Legacy and it is intended for more advanced users while the new NiceHash Miner 2 is for people that are new to crypto mining and just want an easy to use GUI. NiceHash Miner is essentially a profit switching mining tool that chooses the most profitable algorithm based on your mining hashrate and sells your hashrate for that particular algorithm. NiceHash Miner 2 does not contain third party miner software, it uses the miners being developed in house by NiceHash such as excavator for example, while the NiceHash Miner Legacy still relies on the best performing third party miners for some algorithms. The Legacy version includes miners from Claymore, EWBF, Tpruvot and others in order to maximize performance for particular algorithm. This does however make it a bit more complicated for setting up many different miners thus the advanced users target.